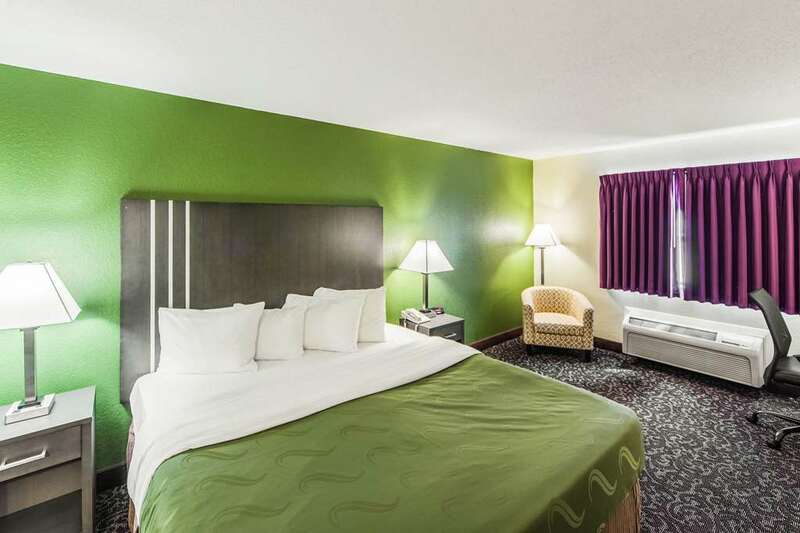 The non-smoking Quality Inn hotel in Decatur, IN near Adams Memorial Hospital gives you more value for your hard-earned money. Our location off U.S. Route 27 makes it easy to visit Fort Wayne attractions like the Foellinger-Freimann Botanical Conservatory, Fort Wayne Museum of Art, Embassy Theatre and Johnny Appleseed Park. Value-packed amenities include free hot breakfast, free WiFi, free coffee, a fitness center and indoor heated pool. Relax in your guest room with amenities like a 32-inch TV, desk and recharge device. Earn rewards with every stay with our Choice Privileges Rewards program.